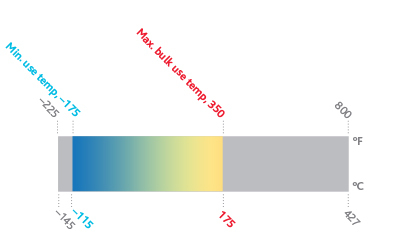 Very Low Temperature Operation—Therminol VLT has excellent heat transfer performance at extremely low temperatures and offers the benefits of liquid coolant temperature control. Cooling and/or Heating Operation—Therminol VLT allows a single fluid to be used in many general purpose processes where both cooling and heating are required. The properties of Therminol VLT allow the same equipment to be used over its wide range of operation. Easy Operation—Using Therminol VLT avoids problems of using multiple fluids in the same piece of equipment and allows low temperature operation with normal centrifugal pumps.